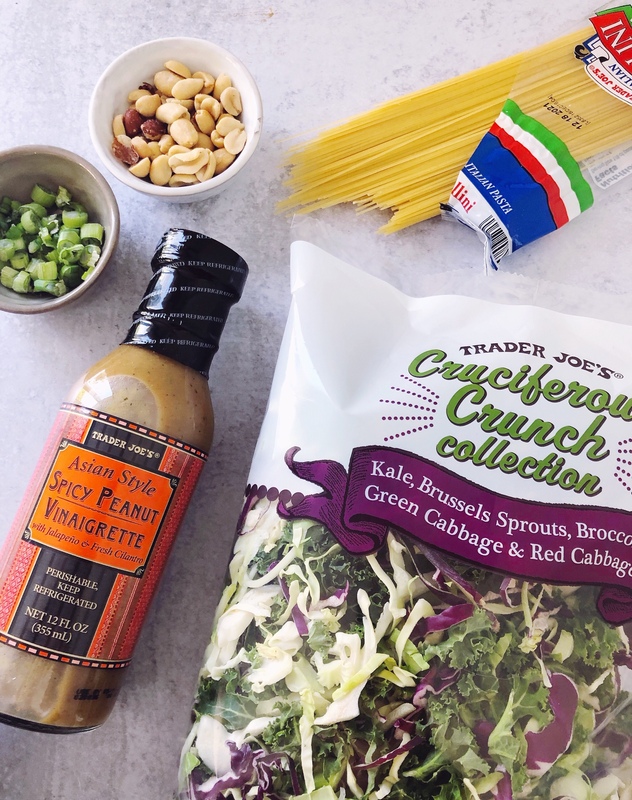 Trader Joe’s Hack: Spicy Peanut Noodle Salad. 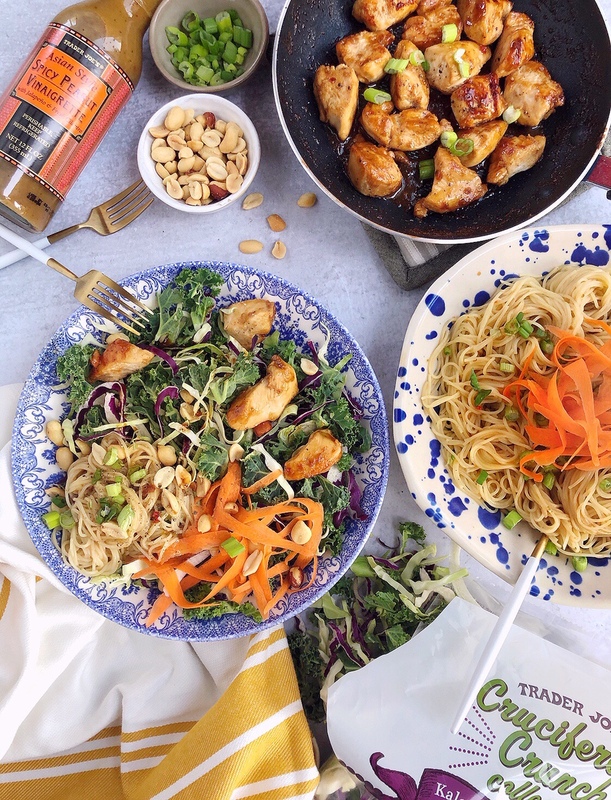 Trader Joe's Spicy Peanut Noodle Salad. 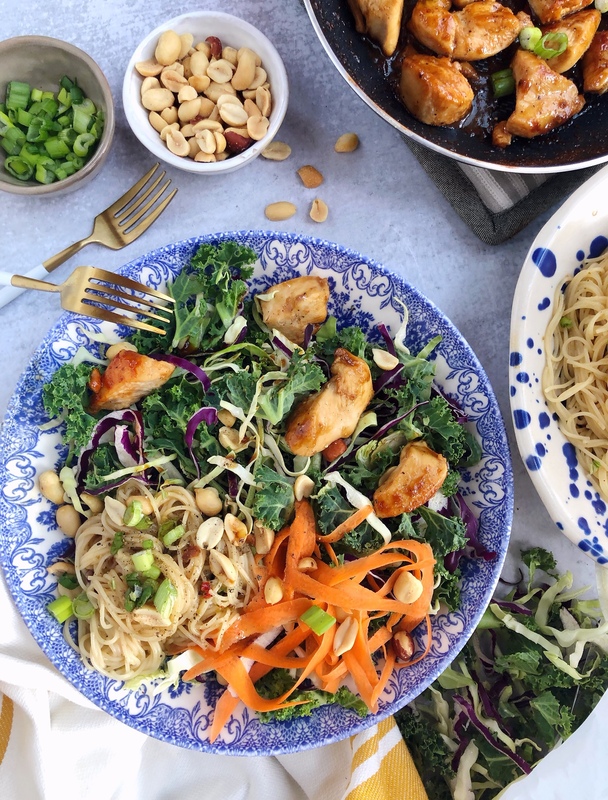 Heat a sauté pan over medium heat and add the chicken breast pieces and about ¼ cup of the Spicy Peanut Vinaigrette. Sauté until the chicken is cooked through, stirring often. Set aside to let cool. While the chicken is cooking, bring a pot of salted water to a boil and cook the noodles as directed to al dente. Toss the noodles in about ¼ cup of the Spicy Peanut Vinaigrette and half of the scallions. 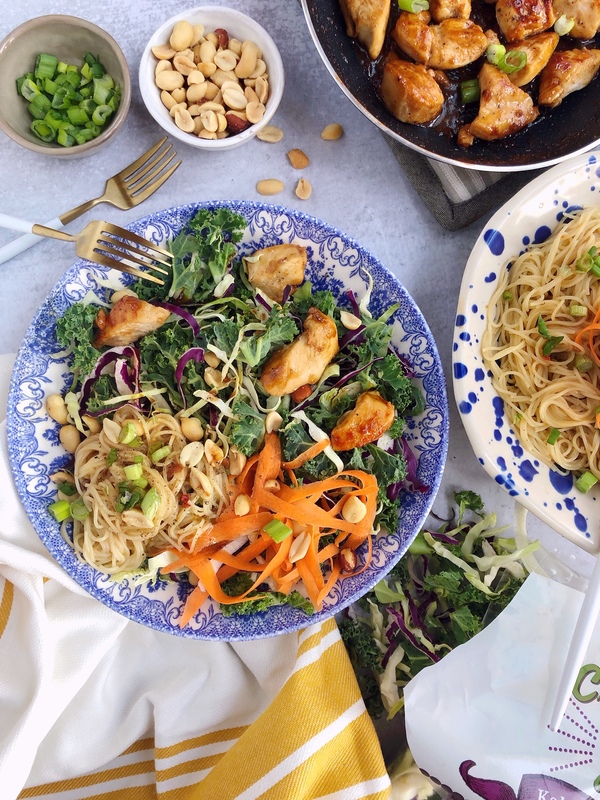 In a large bowl combine the salad greens with the spicy peanut noodles and the cooled cooked chicken. Add the remaining scallions, the shredded carrots and peanuts to the bowl, toss to combine and dress lightly with extra Spicy Peanut Vinaigrette if desired. Easter Basket Ideas. Painting Easter Eggs.